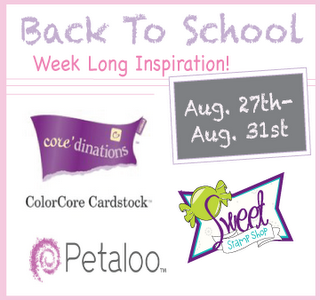 All this week Sweet Stamp Shop has been teaming up with Petaloo and Core'dinations. 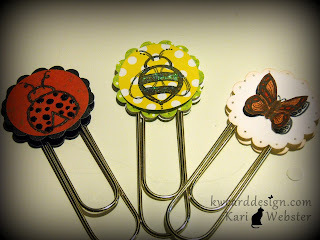 Go check out today's blog post over at Sweet Stamp Shop. It will be worth your while!! Some prizes are involved to be won!!! You will get to see my project that I made for this fun promotion, and my fellow DT member Michelle's along with a fun tutorial from Nicole herself!! Go check it out!! Have Friday everyone!! Have a nice weekend! 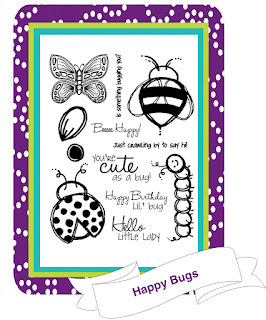 Today I am over at the Sweet Stamp Shop Blog showing off this fun project using the cute set Happy Bugs!! HELLOOO! 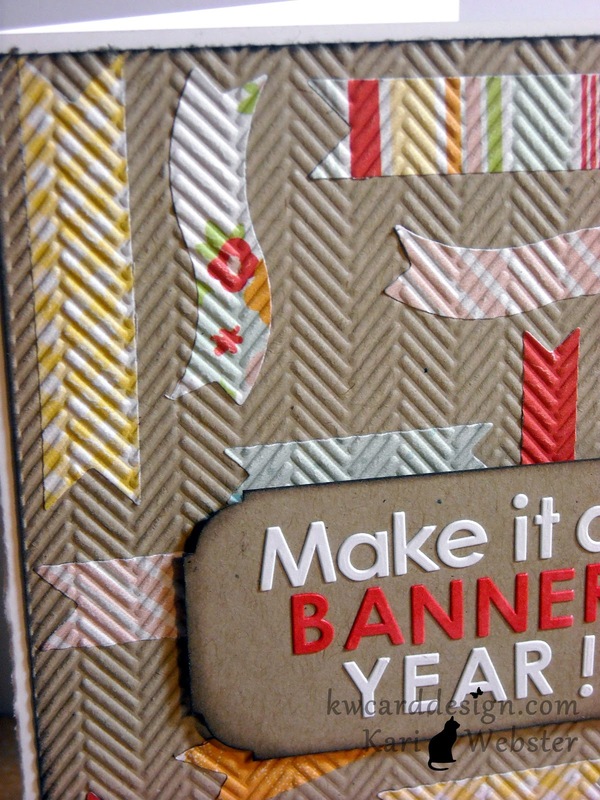 I'm back to share with you my submission for the LSC - Make your own Pattern Paper and the YCU Challenge - Hot Trends. 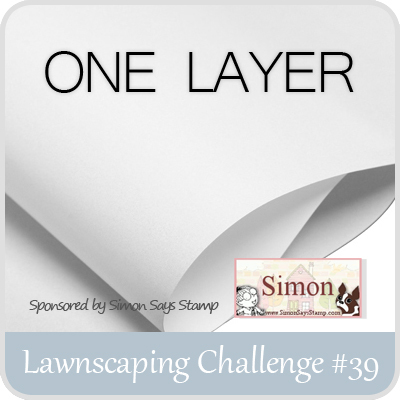 It feels like forever since I play in the Lawnscaping Challenge!! I was honored however to be a guest designer in last week's challenge!! I will treasure that forever!! This is the first time that I have submitted for the YCU challenge. Today's card you sure can't miss for sure!! Neon is a trend that is coming back!! I feel like the 80's child I was all over again!! Check it out! I started out by creating a neon background with my deco tape, not washi tape. 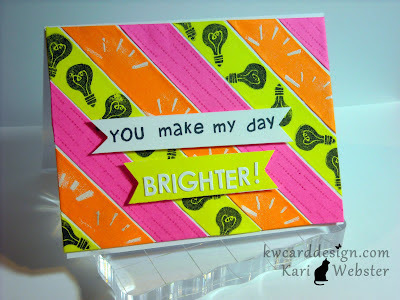 I still would like to have some neon washi tape, because it is easier to work with. I need to use this tape up though. The stamps I used was Lawn Fawn's How Delightful, one of a couple of Lawn Fawn sets I hadn't used yet. I heat embossed the "shine" images in white - stamped out the light bulb in Versa Fine black ink, and the lamp shade "pull" in Rose Bud Memento Ink. 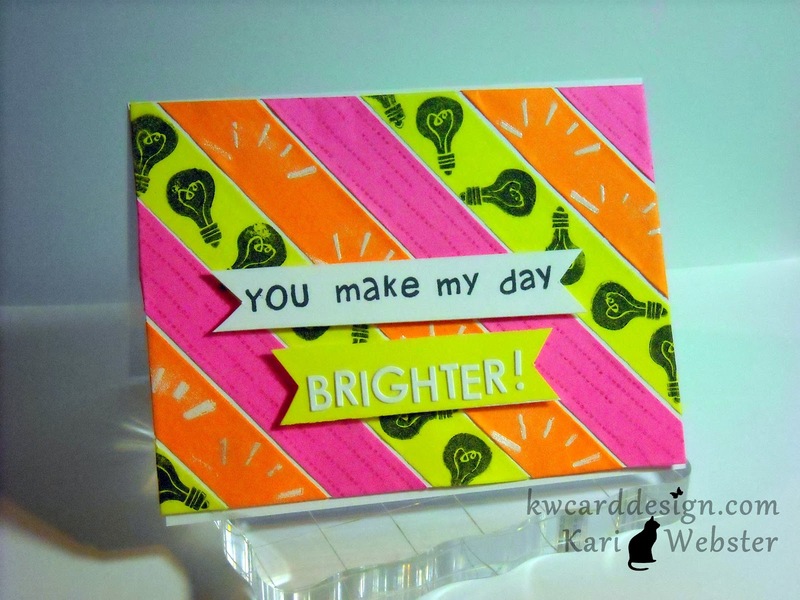 This set has a sentiment "You make my day brighter" but I wanted the sentiment to bigger- so I recreated it with Harold's ABC's and some white sticker letters. I love these challenges, because I love Lawn Fawn and these bright colors!! Thanks for stopping by!!! Hi all!! 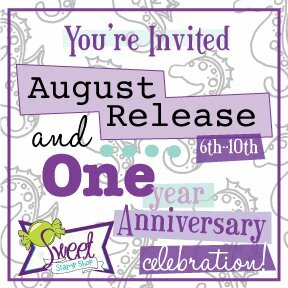 Sorry I have been MIA other than posting for Sweet Stamp Shop's August Release. Hope you all enjoyed the release!! It was fun seeing all the DT projects and being active for my first DT!! OK- switching gears here!! Thought I would post three birthday cards I've made recently. These birthdays happened all within the last week!! Two on the same day :) Here is a look at card #1. 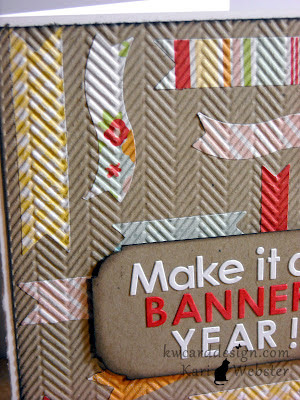 This card features a Gina K. Designs set called Holiday Basket. I just LOVE this basket - so much fun to play with!! 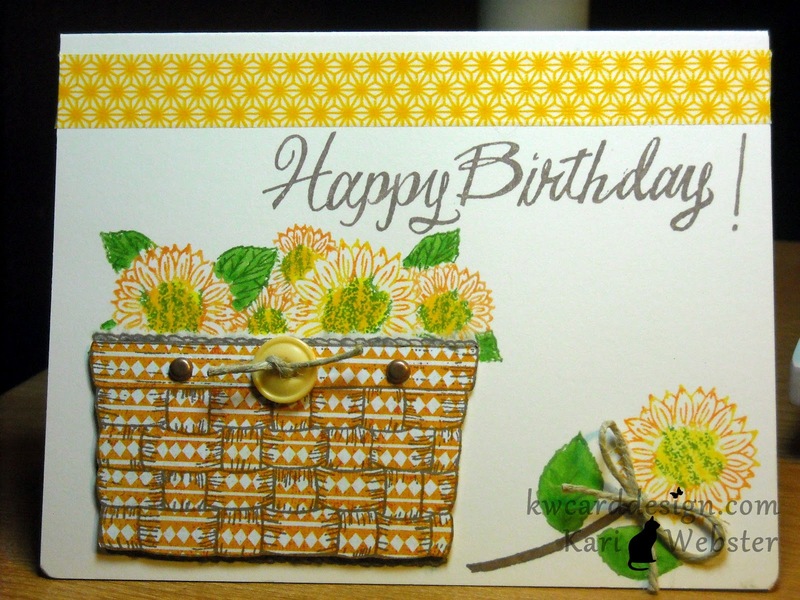 I also used the sunflowers in this set. I colored directly on the stamp of the sunflowers with various colors of Memento markers. I colored the leaves with Copic marker G05. I stamped the basket directly onto my card base, and stamped it again onto some pattern paper from the Basic Grey 6 x6 paper line Shine On - it was a line exclusively for Joann craft stores. I added some dimensionals to pop it off the card. I added a few embellishments to tie everything together - like the copper brads on the basket - a button in the middle, and used some hemp twine and tied a bow and added it to the single sunflower. I added some sunburst washi tape. 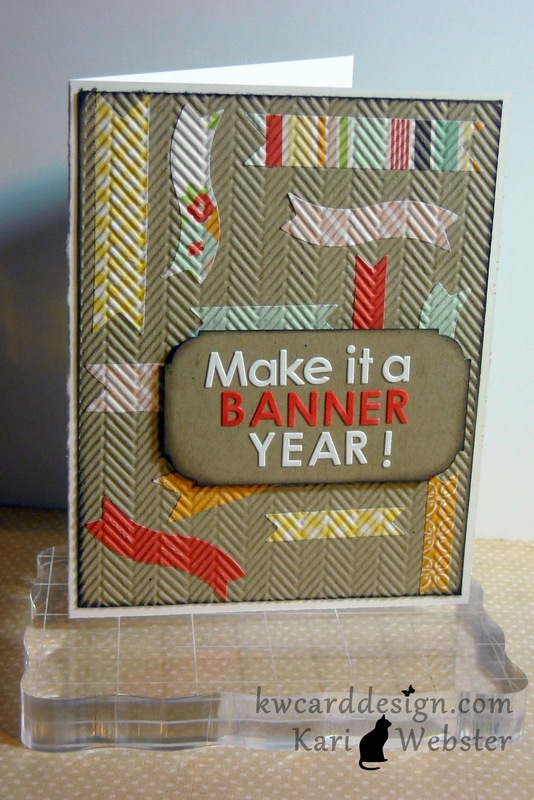 My sentiment is from Lawn Fawn - Grand Greetings. This card was a simple card to make but with lots of color! 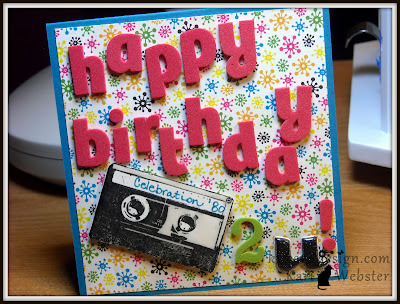 The fun element to this card is of course the cassette tape. It is from a set from TPC Studios - Retro. The pattern paper comes from Amy Tan's Sketchbook. 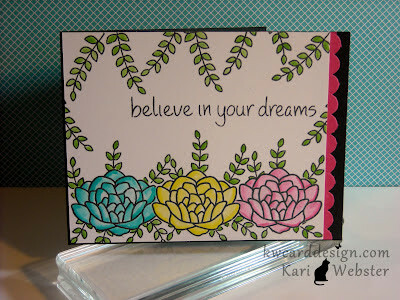 For the sentiment - I added some various Thickers :) Quick and simple!! This card features The Stamps of Life set Candy2share. The border on this card was cut using this die from Memory Box. Love this design!!! The pattern paper that is behind the die is from the same Basic Grey 6 x 6 pad Shine On. 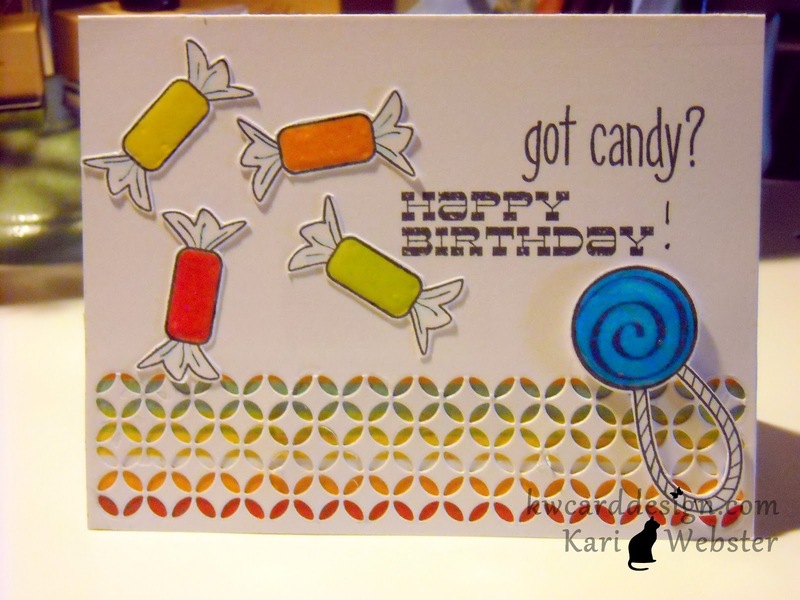 The birthday sentiment comes from Studio Calico Hey Day sentiments. 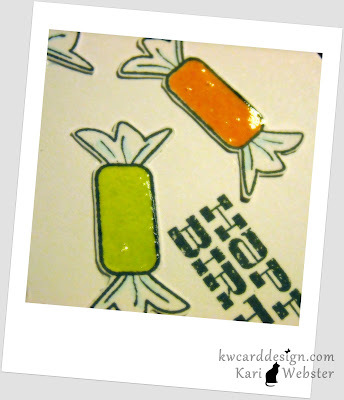 You can't use this candy images without using some glossy accents to bring the to life!! Such a fun and happy card!! Here is a closer look at the glossy accents on the candy - it really makes the shine! Hope you all like these three totally different birthday cards!!! They were fun to make and even more enjoyable - giving to them to the recipients with a smile on their face! 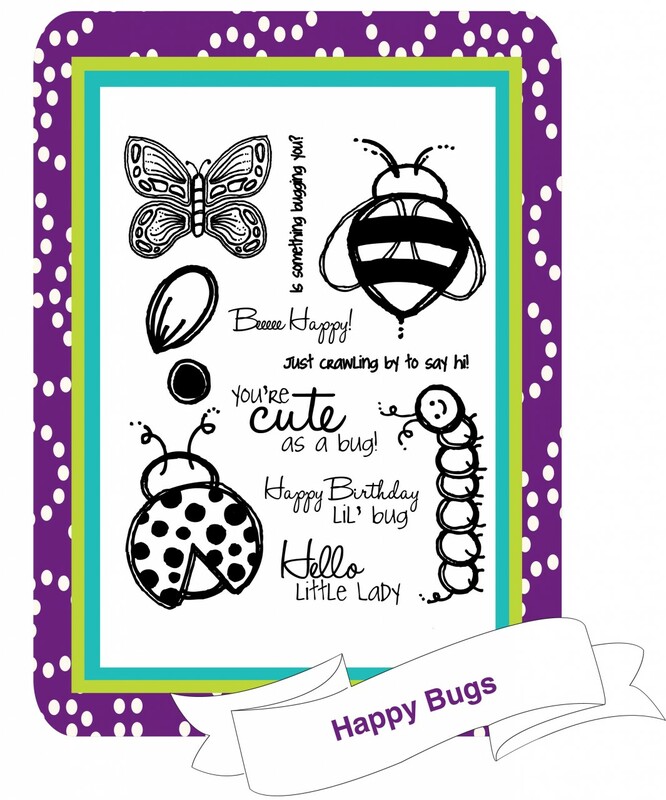 Welcome to Day 5 of Sweet Stamp Shop's August Release!! You are on track if you came my way by the lovely and of course talented Misty. 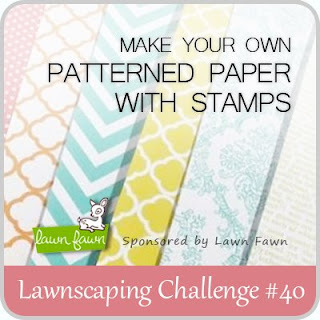 Today is the day to showcase another awesome set - Pattern Craze!!!! I KNOW this one will be another home run hit with everyone!! Nicole has done it again - and on trend!! Hexagons is the name of the game with this set!! I wanted to show case these hexagons in a different way! 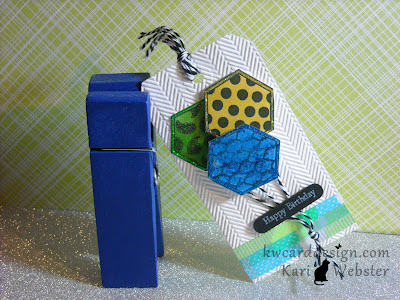 Hexagon balloons :) I took a regular tag, and embossed it to give the tag some texture. Then took three of the Hexagon patterns and added some fun bright colors to them, and put them together in a balloon cluster. 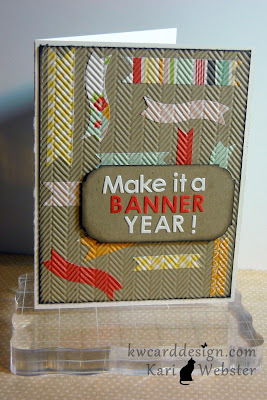 I added some twine from Timeless Twine, and then added the cute little "Happy Birthday" sentiment from Scootin' By. 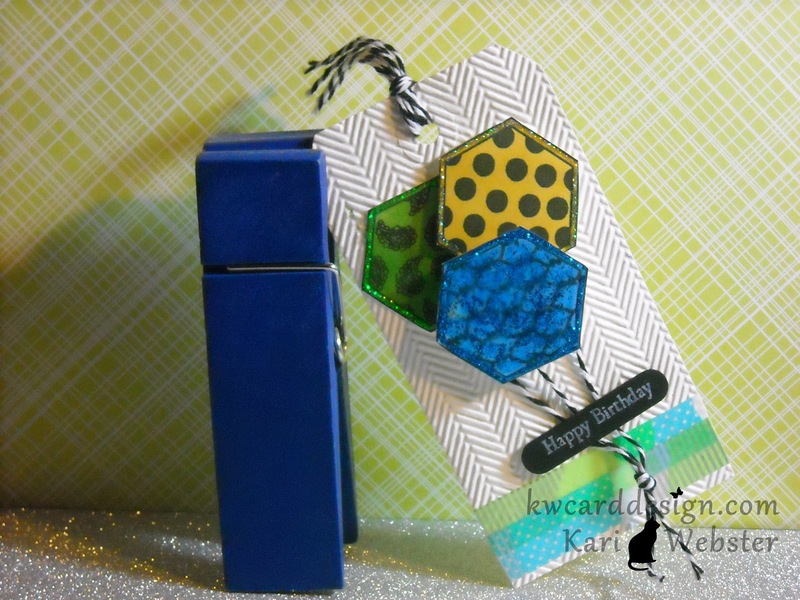 I added some Stickles to compliment the hexagon patterns!! Here is another look at my tag. 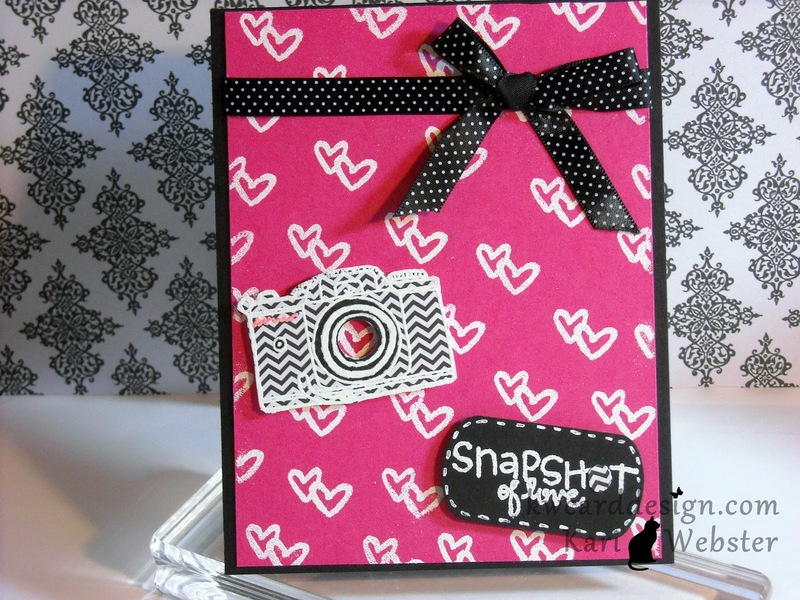 In my card I wanted to share that you could make a project by creating a background with one of the smaller of the stamps in this set - the pair of hearts - and for my background I also heat embossed with white embossing powder to make them pop off of my pink card stock. I know that this set will be a sure hit with everyone because of this cute camera ( among the other cute images)!! 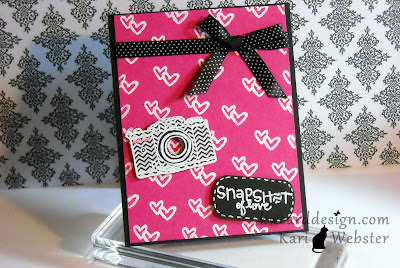 I decided to make a "trendy camera" by stamping it onto some Chevron patterned paper. I don't know if you can tell in my photo - but on the camera it says "LOVE" in the upper left hand corner! 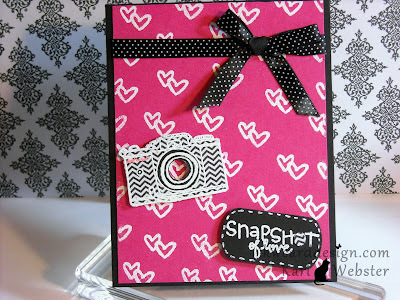 I wanted the camera lens to be centered in on one of the hearts - and one of the sentiments in this set is perfectly paired with this camera - "Snapshot of Love". 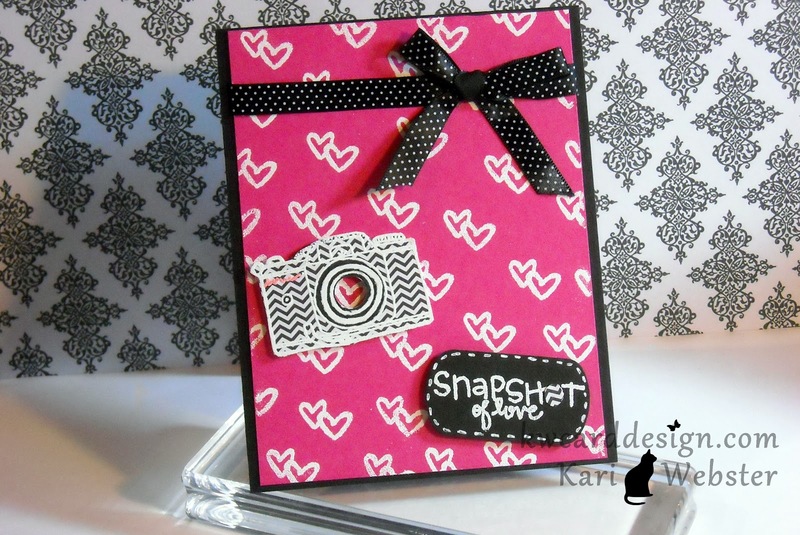 I popped up both my sentiment and my camera with dimensionals - and I added some cute polka dot ribbon to tie everything together. Here is another closer look at my card. 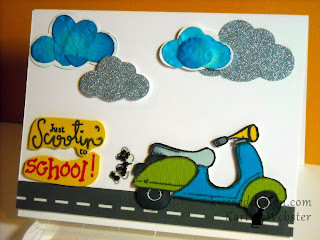 Hope you are having fun on this blog hop!!!! You're next stop will be the awesome Nicole!!! Be sure to leave comments along the way for a chance to win some awesome prizes!!! Hi everyone!! I've been waiting to share this news for over a month now!! I'm super excited to share with all of you that I am a DT member of Sweet Stamp Shop!! Here is the official announcement!! I'm so thrilled!!!! 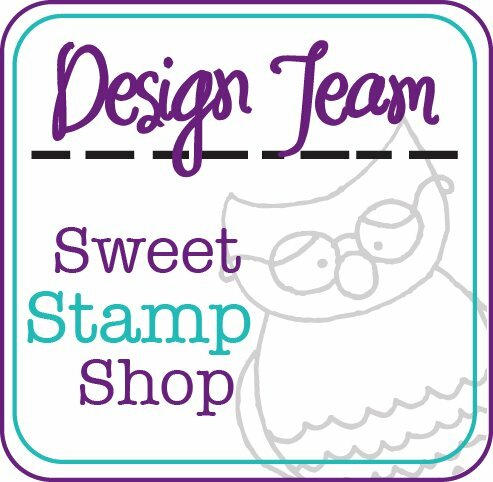 I can't wait to share with you all of the projects and exciting news that Sweet Stamp Shop has to offer! !